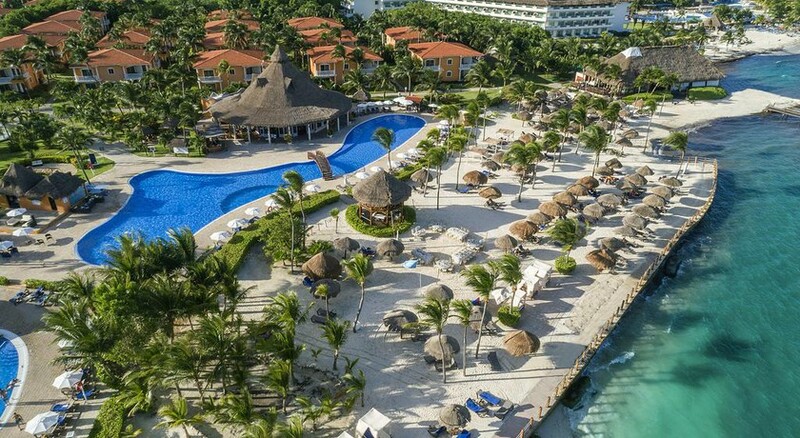 Located right on the beachfront, Ocean Maya Royale faces the turquoise waters of the Caribbean coastline in Cancun's Riviera Maya, close to the popular coastal resort town of Playa Del Carmen. This adults-only hotel offers 320 spacious rooms offering gorgeous views of the sea, plus Privilege and Exclusive options for those after a more luxurious stay. 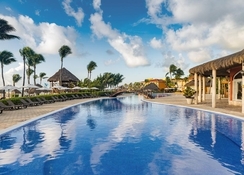 Ocean Maya Royale boasts a variety of activities to ensure guests are entertained day and night, with a swimming pool, state-of-the-art Despacio health spa centre, chill-out terrace overlooking the coast, and a theatre providing evening shows. The dining facilities offer guests a variety of cuisines, with the main buffet restaurant serving breakfast, lunch and dinner, plus a list of upbeat bars and restaurant venues to enjoy at leisure. 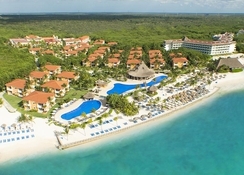 Located in the Mayan Riviera, the hotel is within close proximity to the resort towns of Cancun and Cozumel. 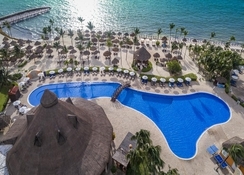 Guests can reach the hotel either via Cozumel International Airport (44km) which involves taking a ferry or can arrive via the Cancun International Airport which is 46km from the hotel. It is a one-minute walk to the beach from guest rooms. Completely refurbished in 2010, the hotel provides 320 plush rooms with all modern amenities and chic interiors. 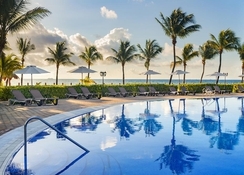 Rooms feature majestic views of the Caribbean Sea as well as views of the lush coastline. Guests can choose between Maya Deluxe Rooms, Maya Deluxe Ocean View Rooms, Romance Suites, Privilege Junior Suites and Honeymoon Maya Deluxe rooms. Room amenities include free Wi-Fi, satellite TVs, a minibar, tea & coffee making facilities and more. 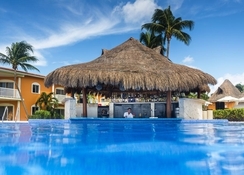 The hotel provides a host of dining options with four themed restaurants, a café and three bars including a poolside lounge. 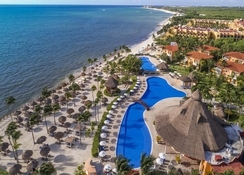 Restaurants at the hotel include the Blue Moon Restaurant, the La Hacienda Restaurant, the Italian La Dolce Vita Restaurant, the El Charro Restaurant and the Yookoso Restaurant. Sip an aromatic cup of tea or coffee at Mike’s Coffee and sample house wines and alcoholic beverages at the Lobby Bar and the bar in the pool and Aqua Lounge. Fun and frolic galore aboard the Ocean Maya Royale as the hotel offers a host of leisure activities and relaxation. The hotel offers the Despacio Spa Centre to unwind and rejuvenate yourself with massages, beauty treatments and sauna. Lounge by the two pools at the hotel and head to beach. The hotel also organizes scuba diving training and gear - so have your flippers at the ready!